March | 2014 | Thoughts from the Shteiblech. Tzaraat: Our Speech can both Create and Destroy. In this week’s Parsha we read of the punishment of ‘Tzaraat’-‘leprosy’. Rav Hirsch at length argues that ‘Tzaraat’ is not ‘leprosy’. He argues that ‘Tzaraat’ is not a bodily disease, but the physical expression of spiritual illness and weakness. A punishment that reminds the person smitten, that he must mend his ways.Rav Hirsch argued that Tzaraat is supposed to awaken the afflicted person to do Teshuva, as he is spiritually ill.
Chazal teach us that the main cause of ‘Tzaraat’ is Lashon Harah and not being careful about what we say about other people.Chazal teach us that the word ‘Metzorah’ is a contraction of the word, ‘Motsi Raah’-one who spreads slander ( Arachin 15b). 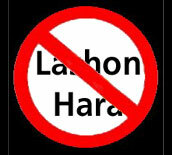 The Gemarah in Arachin 16b, teaches the reason that a person who speaks lashon harah and spreads bad feelings about others through their speech needs to be isolated and rejected, is because that person has failed to be sensitive and feel the pain others. G-d rebukes this anti-social behaviour by isolating him from society, so that he can experience the pain and hurt that he has imposed on others-and heal himself through repentence. Our speech can build, encourage, and be used to share love and compassion, but it can also spread insult, pain and unhappiness-it all depends on how we use it. Words can create communities and societies, but at the same time they can also uproot and destroy them. It’s up to us how we decide to use our speech. We all have a responsibility to use our words with care, sensitivity and insight and by so doing break down the walls and instead build bridges between the differing nations and faiths in our fragmented and complex world. Shmini: The Dangers of Playing with Spiritual Fire. In this week’s Parsha we read of the tragic death of Aaron’s two sons, Nadav and Avihu. The question is what did they do so wrong to deserve to die? The Pasuk says in Vayikra 10:1, that they offered up ‘Áish Zarah’, literally foreign or unwanted fire, but what does this really mean? Rashi quotes R’Éliezer who says that they made rulings without the consent of Moshe and R’Íshmael who said that they entered the Mikdash drunk. The Ramban says something slightly different, that they sanctified G-d’s name when they were not told to. There is another opinion that they didn’t marry. A further opinion, is that they did not keep to the very defined ingredients of the Ketoret-as a result the smell wasn’t as it was supposed to be. What is the common denominator between these views? The Netziv in Haemek Davar suggests that the problem with Nadav and Avihu was that they had spiritual passion, but it was misdirected and too free and impulsive. They lacked guidance and weren’t acting within a religious system and framework. They weren’t satisfied just to live normal and regular lives-they were unable to fit in with accepted behavioural patterns. The people couldn’t live up to these ‘spiritual’ demands of Nadav and Avihu, and therefore they had no place in Am Yisrael. The Torah is what we live our lives by, but it is a defined system based on Divine laws and ethics, and not human needs, wants and desires. Spirituality can be beautiful and healthy, but only if experienced within a prescribed system-otherwise it can potentially destroy friendships, communities, societies and eventually life itself. Rav Shagar Z’L on the Relevance of Purim. 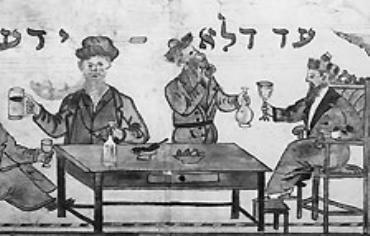 The Gemarah in Megillah 7b tells the story of two sages celebrating at their Purim Seudah and drinking a lot of wine. Under the influence of the wine, one of them gets up and kills his friend.The following day he asks for mercy from his friend, and the latter returns to life. The next year, the sage asks his friend to celebrate the Purim Seudah again with him. The friend answers: ‘A miracle does not happen every day.’ There is no doubt that drinking is one of the symbols of the day and is discussed in the Gemarah, Halachah and Poskim. Rav Shagar explains what this custom of drunkenness on Purim reflects on the nature of Purim itself. Rav Shagar explains how drunkenness is an expression of man’s need to reject being in control of his life and feeling part of a strict framework of values and behaviour. Man at times has to be able to break free and be himself completely and not be regulated in a defined and highly structured system. Drunkenness reflects a world void of reason and logic. The Purim Story, Rav Shagar explains as reflected in Megillat Esther also demonstrates that man is not in control. The Purim story shows that man is not in control, but Hashem is. The fate and destiny of man is not in his hands, but Hashem’s. When we read through the Megillah we see that we human beings are just parts of a bigger system, that is way beyond and above us. On the day of Purim we live the post-modern approach to life, which is defined by drunkenness. One that rejects order and a respect for tradition and authority. But this is the antithesis of how we are supposed to live the rest of the year and the ideal of how the Halachik Jew lives. The Halachik Jew lives his life by a system of beliefs, values and practices whose roots are based at Har Sinai and which are Divine and eternal. The true Religious Man does not strive to ride himself of accepted tradition, but rather attempts to integrate it within his own lifestyle. The drunkenness of Purim, reflects anarchy and escaping from a lifestyle based on tradition, authority and respect. Rav Shagar writes, like Purim, the post-modern world, creates chaos and disintegration and rejects all that is so sacred to us. In Yahadut, we believe the opposite. That accepted tradition and values are the source of our greatest pleasure and enjoyment. We only have a present and future as a People, if we are closely connected and attached to our cherished Mesorah and past. A Purim Message for the 50,000 Charedim who went to the ‘Atzeres’ in Manhattan. The Gemarah at the end of Massechet Ketubot says that a Jew in Chutz La’aretz can’t even criticize the weather in Eretz Yisrael. As we know the Mishna/ Gemarah there also discusses the situations in which one is permitted to divorce his wife if she does not want to move to Eretz Yisrael. The Gemarah there also mentions the Agadatah, that one who lives in Chutz La’aretz has no G-d. Of course, this is not to be taken literally and there are Halachik reasons why a Jew can leave Eretz Yisrael. 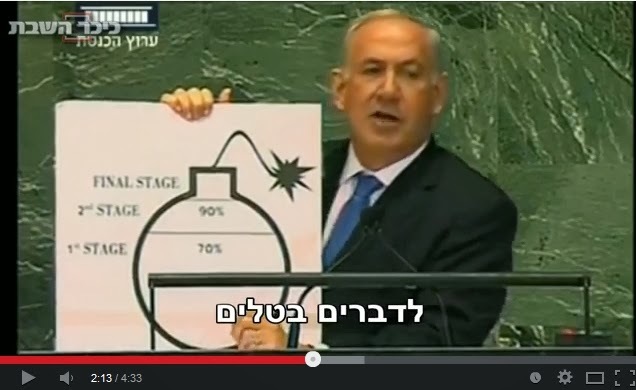 But, Chazal are trying to teach us a value system – living in Eretz Yisrael is superior and qualitatively better than in Chutz La’aretz. As a result, those living the easy, comfy life in the Galut (which the Tenach sees as a punishment) have no right to condemn or comment on what’s going on here, as they aren’t here, they are there. The Ramban says that mitzvot in Chutz La’aretz are performed as a mere preparation for living in Eretz Yisrael. The Rambam believed that every day he lived in Egypt, he wasn’t keeping the Mitzvot properly. The reason why the Rambam doesn’t list the mitzvah of Yishuv Ha’aretz as an independent mitzvah in Sefer Hamitzvot is because like Emunah in Hashem, it’s so fundamental and central to Yahadut, you cannot limit it to a single, defined mitzvah. Rather it encompasses and transcends the whole Torah. 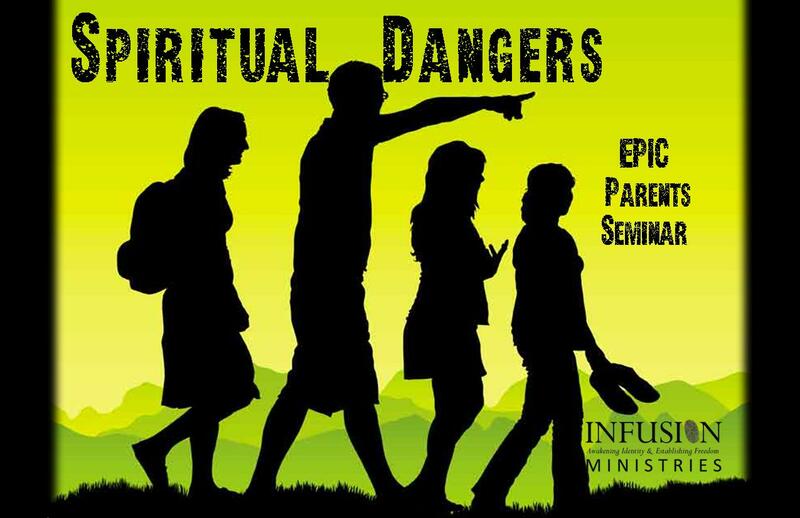 G-d punished the generation of the Meraglim (spies) by making them wonder in the wilderness for 40 years. The negative report they gave reflected there was a problem in their Emunah. Eretz Yisrael was ‘Very very good..’, but the spies didn’t see all what was positive. Their negative and over critical perspective of what was going on in Eretz Yisrael demonstrated their Emunah and Bitachon in G-d was superficial, shallow and simplistic. Had they really loved Eretz Yisrael and believed in G-d, they wouldn’t have seen things so badly. Furthermore, G-d wanted Am Yisrael to fight in battle and was angry at the 2 1/2 Shvatim who lived on the other side of the Jordan- “Should your brothers fight, whilst you rest” (to paraphrase the pasuk). According to the Tenach there is a concept of national responsibility and accountability in Eretz Yisrael. In contrast, in Chutz La’aretz, Jewish life is purely based on ‘communities’ and not being part of a collective nation in a sovereign state. Why did Moshe have to be replaced by Yehoshua? As Yehoshua was a fighter, a warrior and that was the type of leader G-d wanted to lead Am Yisrael in Eretz Yisrael. Moshe, was the leader who represented the book and law and wasn’t appropriate for the precarious and unpredictable life in Eretz Yisrael. The ideal was to integrate both the Yehoshua and Moshe style of leaders in Eretz Yisrael. In the Tenach, G-d is showing us that in Eretz Yisrael we need to stand up and fight for ourselves, (whilst at the same time keeping loyal to what Moshe had taught us), and not just sitting like ducks and relying on Divine protection. The Purim story is centered around Jews who didn’t go and live in Eretz Yisrael, but instead stayed behind in Chutz La’aretz. That’s one of the reasons why Hashem’s name isn’t mentioned in Megillat Esther -they didn’t deserve it. The good life they enjoyed is highlighted in the Megillah-feasts, beauty contests etc. they lived a good ‘gashmiyus’ life there. But as a result, they sacrificed a close and real relationship with G-d. They had all the ‘Chitzoniyus’ – the hats, jackets, starched white shirts, wide selection of ties and cufflinks. They also had the daf yomi shiurim and Jewish day schools and every type of mehadrin min hamhadrin kosher restaurant. The problem in the Purim story wasn’t the ‘hechsher’, it was the seudah itself. In the Purim story some of the Jews were living a ‘frum’ lifestyle (even though many were assimilated), but there was no mesirut nefesh-it was all too easy. In contrast, the Jews of Eretz Yisrael were living a life of pure mesirut nefesh and self sacrifice to live in the one and only Land that G-d had commanded us to live in, in the Tenach. I personally feel that Jews did have a right to go to the ‘Azeret Tefillah’ last Sunday in Yerushalayim, if they felt the need to identify with the Charedi sector here and show Hakarat Hatov to them for all the good they have done and how much Israeli Society needs them to make this country truly Jewish. 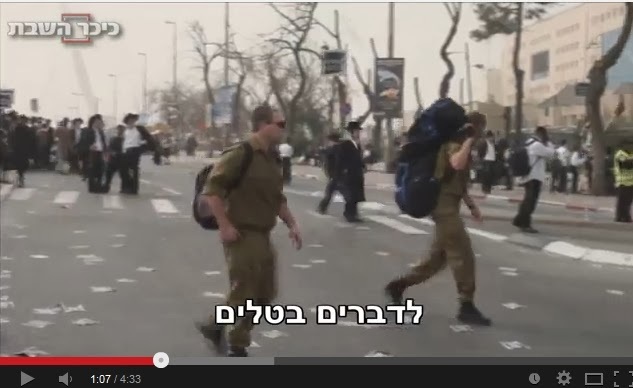 There was no violence, no fiery speeches and no arrests-just tefillah and tehilim. I honestly think we can all learn something from that. But, if you don’t live here, and rather have chosen to ignore the real message of Megillat Esther and stay in Chutz La’aretz, where your Kollel stipend is probably more than the average salary here in Israel, you have no right to waste your time demonstrating. For you Jews in Manhattan the ‘ Atzeres’ was pure Bitul Torah. If you really cared so much, you would be living here in Eretz Yisrael and not in New York. The Charedi ‘Atzeret’ on Sunday was Not a Kiddush Hashem, but a Tragedy. Firstly, I’ve heard people talking about the ‘Atzeret’ of the Charedim on Sunday, in terms of a ‘Kiddush Hashem’. Jews from all over Israel, listening to their ‘Gedolim’, converging on Jerusalem to daven and say Tehilim for the sake of the ‘Torah’ and their ‘Yeshiva’ system. I can’t possibly see how a gathering which has caused so much controversy, division and upset in mainstream Israeli Society can be deemed a Kiddush Hashem – ‘..in the midst of the Israelite People’ . A Kiddush Hashem needs to be objective and deemed by all of Am Yisrael as sanctifying G-d’s name, not just by one sect. No, I’m not saying that Lapid is correct in saying that those who want to learn and not go to the army should go to prison-they need to work out a real, practical solution. But on the other hand, it’s about time the Charedi sector realized that when Ben Gurion gave an exemption, it wasn’t supposed to exclude all of them from any type of military or national service. Of course, from the perspective of those who attended the ‘Atzeret’, it may have been an inspiring and uplifting experience, but as it has caused so much outrage and even more fraction and polarization in Israeli Society, can it be seen as a ‘Kiddush Hashem’? Does Hashem want us to be so divided and split? The result of a Kiddush Hashem is supposed to endear and encourage people to respect our Mesorah and serve Hashem, not to cause Jews to feel even more disillusioned from Judaism. Secular Israelis are sadly, detached enough from Judaism-do they really need further encouragement from our Charedi brethren? Are things really so bad here? Is there really nothing positive going on? Were things really better in Poland? Has there ever been a time in Jewish History when all Jews were ‘frum’? What right does one Jew have on another to judge them and force their views on them? The miracle of the survival and re-birth of the Jewish People after the Shoah, Ivrit being a spoken language so that children can read a Tenach or Gemarah and understand every word, Israel being a leader in Hi-Tech and in so many other industries, seeing Israeli rescue teams in natural disasters around the world– THESE are all examples of Kiddush Hashem. The ‘Atzeret’ also can’t been seen as a Kiddush Hashem as one of the beliefs of the Charedi sector here in Israel of not working, and rather sitting and learning all day, is NOT the accepted Halachik approach and is a distortion of how you are supposed to live: The Shulchan Aruch, Aruch Hashulchan, Magen Avraham, Rama and Biur Halacha in Orach Chayim Siman 156:Seif 1, all discuss how one must BALANCE between working and learning, and how a life which is solely dedicated to learning, to the exclusion of working will lead to sin and poverty. The Maharsha in Massechet Brachot Daf 35:B when discussing Shimon Bar Yochai, says his ‘Torah only’ approach which was not integrated with working and earning a living FAILED and was only for ‘Tzadikim Gemurim’. The Maharsha says that most people aren’t ‘Tzadikim Gemurim’ and should not see themselves as such. The Rambam and Kesef Mishneh- in Hilchot Talmud Torah 3:10 also says that we must work and be financially independent. We don’t hold like the Rambam in Hilchot Shmittah Ve’Yovel chapter 13, who says that you can see yourself as part of Shevet Levi who were excused from working. Wasn’t the Rambam a doctor, Rashi a wine merchant and the Abarbanel a diplomat and politician?? Most of the Tenaim and Amoraim worked and supported themselves, as did the Rishonim and Acharonim. Neither Rav Moshe Feinstein or Rav Shlomo Zalman Auerbach said it was an ideal for all men to sit and learn all day. The Gemarah in Kiddushin 29 teaches us-R’Yehudah says there, a father who doesn’t teach his son a trade, is teaching him to be a robber. The Rambam in Hilchot Deot and in the Shemonah Perakim speaks very harshly against those who don’t work and just rely on others. The Gemarah in Masechet Shabbat says that only 1 out of every 10,000 will be a Torah leader – In all honestly, does every Charedi Yeshiva bochur think he can be that 1 out of 10,000?? 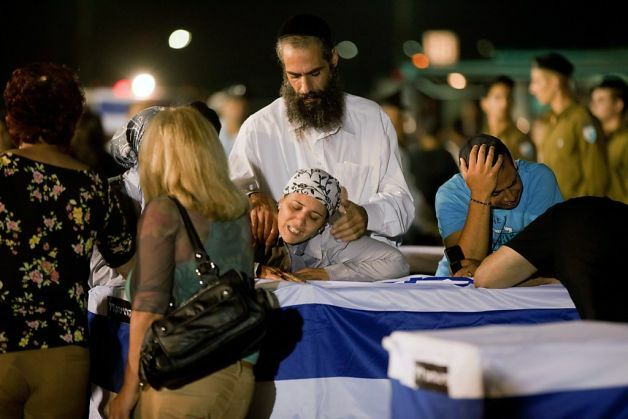 2) Sunday was a tragedy because it highlighted yet again, how completely detached the leadership of the Charedi sector are to the reality of living in Israel and how precarious life is here. There is a positive Mitzvah to fight in a Milchemet Mitzvah and they did so in the Tenach. All one has to do is learn the commentary of Rav S.R. Hirsch on Sefer Devarim to see that life in Eretz Yisrael is supposed to be lived in a natural way-the miraculous/ above nature way was for the Midbar, where the Manna fell, NOT for Eretz Yisrael-learn Sefer Yehoshua for proof of that! When in Jewish History were all Jews in learning and is that an ideal? Which present day Posek (not Rosh Yeshiva or Mashgiach) would say that all Jews in Israel should be sitting and learning?! Is the Modern State of Israel supposed to be one big Kollel? How exactly would that work in practice? Is fighting and defending the Jewish People in Eretz Yisrael, any less of a Mitzvah than learning Torah. Don’t Chazal tell us not to judge the importance of one mitzvah against another?-Only on Yom Hadin, Hashem will decide-NOT US. Who are we to judge? Can human beings play G-d?? There is a famous story, that Rav Shlomo Zalman Auerbach told his students at Kol Torah, rather than going up North to daven at ‘Kivrei Tzadikim’, instead they should go across the road and daven by real Tzadikim in Har Herzl. Rav Ovadia Yosef also davened for Israeli soldiers in his Shul and made sure to have a special relationship with them, showing them appreciation of what they were doing, in protecting Am Yisrael. Yes, we must realize, appreciate and be sympathetic to the Charedi sector and value what they have contributed to the survival of Torah and our Mesorah. But to call Sunday a ‘Kiddush Hashem’?! 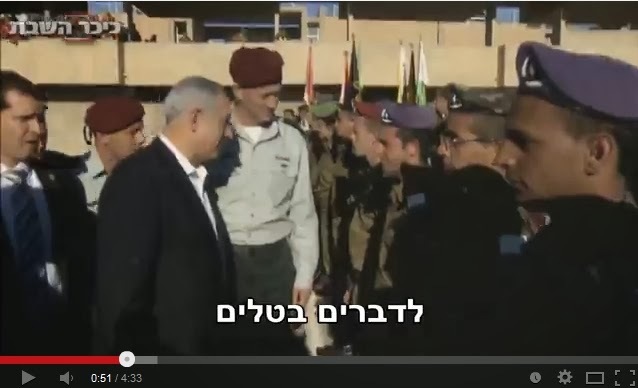 Was the video clip from Sunday produced by ‘Kikar Shabbat’, which ridiculed the army and security forces and made a joke of the Iranian threat a Kiddush Hashem?? 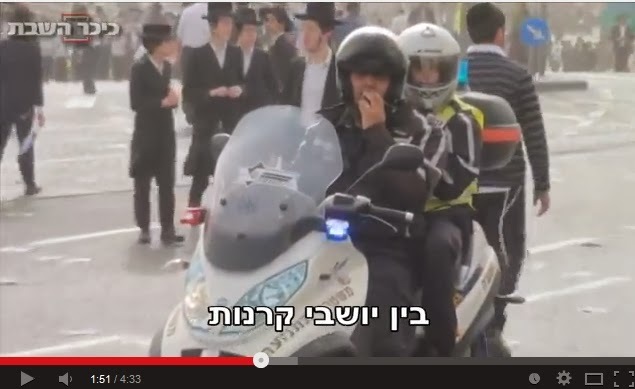 Is something that has caused so much rift and outrage in Israeli Society a ‘Kiddush Hashem?? So, Sunday was not a ‘Kiddush Hashem’ at all, but rather a tragedy that showed how divided we are as a People. Israeli Society needs the Charedi input, both on a practical and spiritual level. But, in order for mainstream Israeli Society to be able to benefit from all that the Charedi sector has to offer, their leadership needs to completely change their attitude and perspective. Sadly, there aren’t moderate Gedolim in the Charedi world, like Rav Shlomo Zalman Auerbach leading them anymore and they lack direction.